You’ll enjoy the elegant look of the LiteTouch control stations. Sometimes called functional art, these aesthetically engineered keypads have traditional elegance with a hint of modern style. 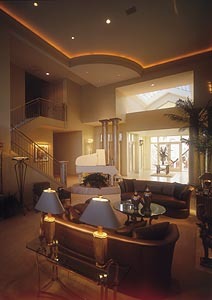 Interior designers appreciate LiteTouch because it can perfectly match the home’s interior design. Replace unsightly combinations of toggle, dimmer, fan, motorized window treatment, skylight and audio/video switches with one beautiful control station from LiteTouch. Architects value LiteTouch because it eliminates the groups of mis-matched wall-mounted controls. Select just the “right” look for your home. Choose from LiteTouch’s many Control Station design options, including custom faceplate colors. Custom button engraving gives you a beautiful reminder of what each button does. 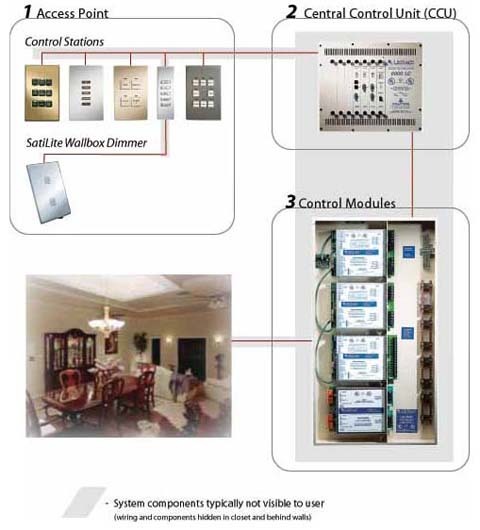 Our Control Stations alone will make your home more attractive and functional. 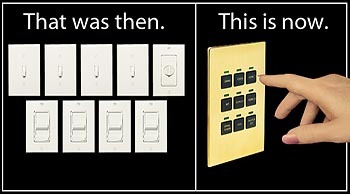 One LiteTouch Control Station can replace up to nine dimmer and toggle switches. Control Stations are available in a variety of tasteful looks, with buttons elegantly engraved with custom words you select. Every single button in the LiteTouch system functions as an on/off switch (press and release) and as a dimmer (press and hold). The dimmer works on most types of lights including fluorescent and neon. This degree of lighting control allows you to light every room EXACTLY the way you’ve always wanted, to really showcase your home and furnishings at their most beautiful. LiteTouch controls allow you to change the mood of a room, or the whole house, by activating a custom scene or ambiance at the touch of a button. Preset the lights just right for a range of situations, from a romantic dinner for two to an evening pool party. Your home never looked better, just the way you want it. And you can effortlessly achieve these perfect looks and moods again and again.